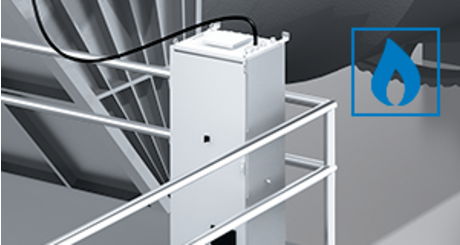 The SCPS process gas analyzer system is used for gas measurement directly on rotary kilns. Rugged sample probes, effective cleaning mechanisms combined with hot or cold extractive analyzer systems and flexible remote maintenance - SICK is the only manufacturer that delivers the whole portfolio of products from a single source. The analyzers are configured to measure not only the important combustion parameters O2, CO, CO2, NO and, if applicable, CH4, but also process parameters such as SO2, HCL and NH3. 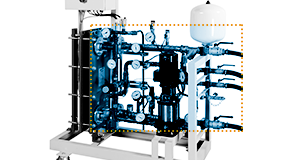 Thanks to their minimal maintenance, maximum availability, and precise measured values, the SCPS system really shines, especially when it comes to combustion with high levels of sulfur or chlorine. More precise process gas analysis means better optimization for combustion processes and quality assurance. SCPS offers analysis options for any requirements. The composition of the process gas has a critical influence on the efficiency of the combustion process, the quality of the brick being created and the availability of the system. The SCPS analyzer systems reliably and accurately determine the concentration of all gas components required for the customer. This is true whether the measurement process is a traditional cold/dry extractive process or the hot/wet extractive process that is optimal for alternative fuels. SCPS analyzes all measuring components that are relevant for process optimization and quality assurance. SCPS can even be used for hot/wet extractive measuring, which is especially useful when alternative fuels are involved. The versatile SCPS analyzer system allows you to give energy efficiency, product quality and system availability a reliable, permanent boost. The result: You gain competitive advantages. The combination of highly resistant material and technology that has been optimized for its application allows measurements to be taken with reliable precision—even in tougher environments. Thanks to variable cooling, SCPS probes can be used at temperatures as high as 1,400 °C. Mit 2-stufiger Filterrückspülung und Hochdruckreinigung hält SCPS Staubbelastungen von bis zu 2.000 g/m³ stand. 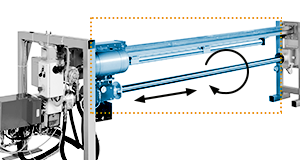 SCPS prevents caking on the probe tube effectively thanks to anti-stick movement and rotation. 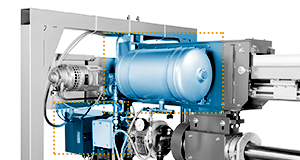 The effective cooling and cleaning technology of the SCPS allows you to cut down on maintenance efforts and minimize unplanned downtimes, saving you money. 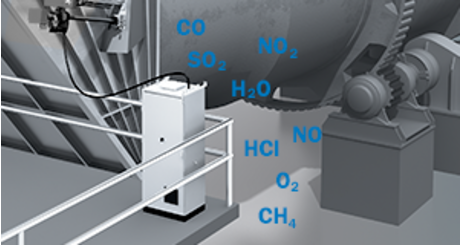 The SCPS is SICK´s all-in-one solution for process gas analysis. All system components and the associated service are obtained from a single source, ensuring that you always have a skilled contact person you can turn to. Remote access allows our experts to solve a variety of problems directly and without on-site visits. Continuous monitoring of the "vital parameters" enables timely problem detection. SICK´s all-in-one principle guarantees high system availability and cuts down on system downtimes.